Independency of seasons and clear visual recognition. 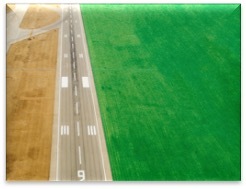 AGAT significantly enhances the visual delineation for aircraft pilots and airport ground crew. 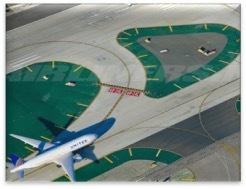 This system can be used in numerous applications to help with airport marking. 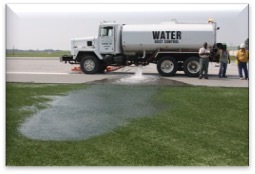 This significantly increases safety by covering non-movement hard surface areas such as painted infield islands and decommissioned high speed exits or taxiways in lieu of painted yellow X’s. 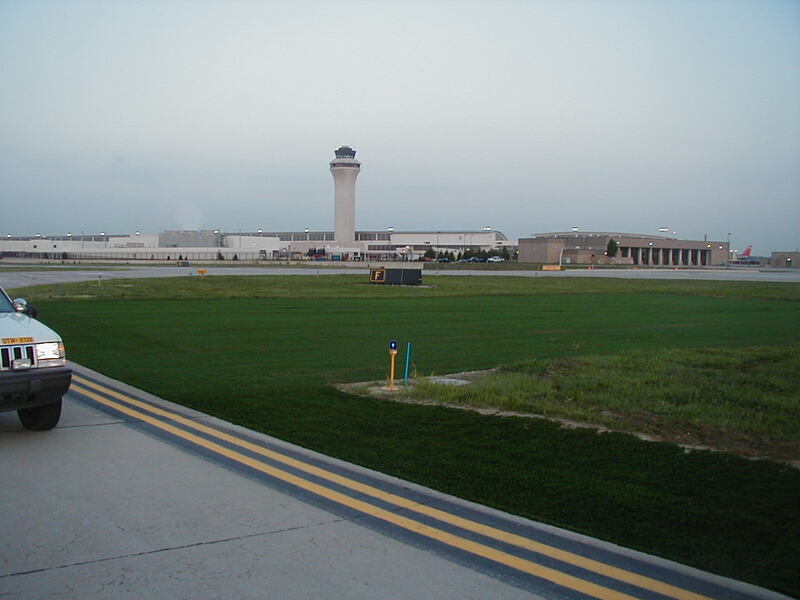 FAA study shows that artificial turf used to narrow the appearance of taxiways to prevent pilots from inadvertently landing on wide taxiways. 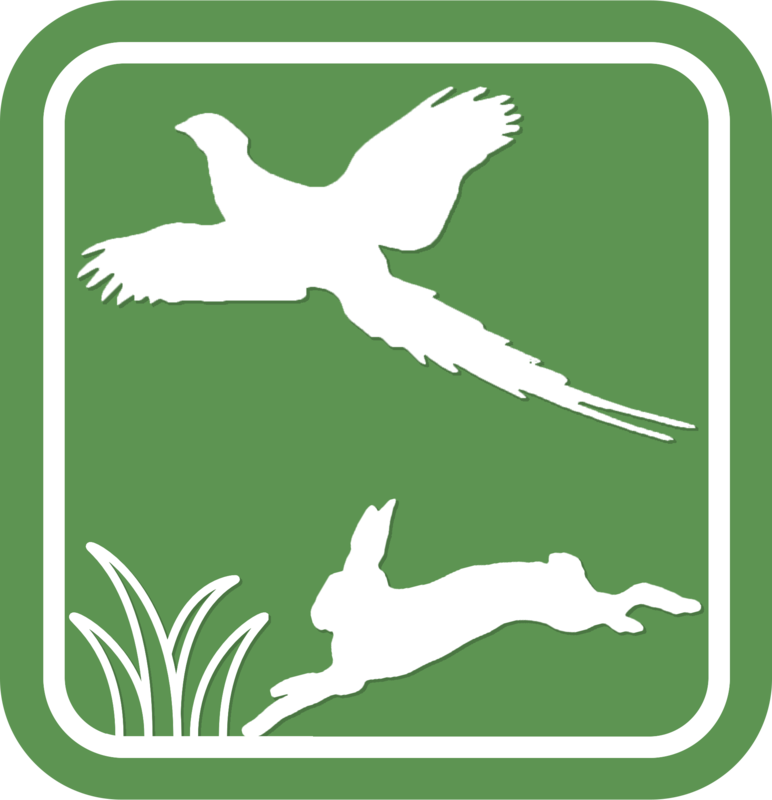 Environment neutral and not lethal removal of food, shelter and water for birds and prey. 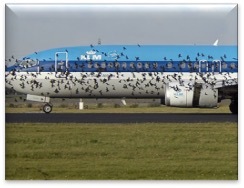 Foreign Object Debris Damage is responsible for countless millions of dollars damage to aircraft every year. An AGAT installation facilitates inspection personnel to identify and remove debris quickly and effectively. 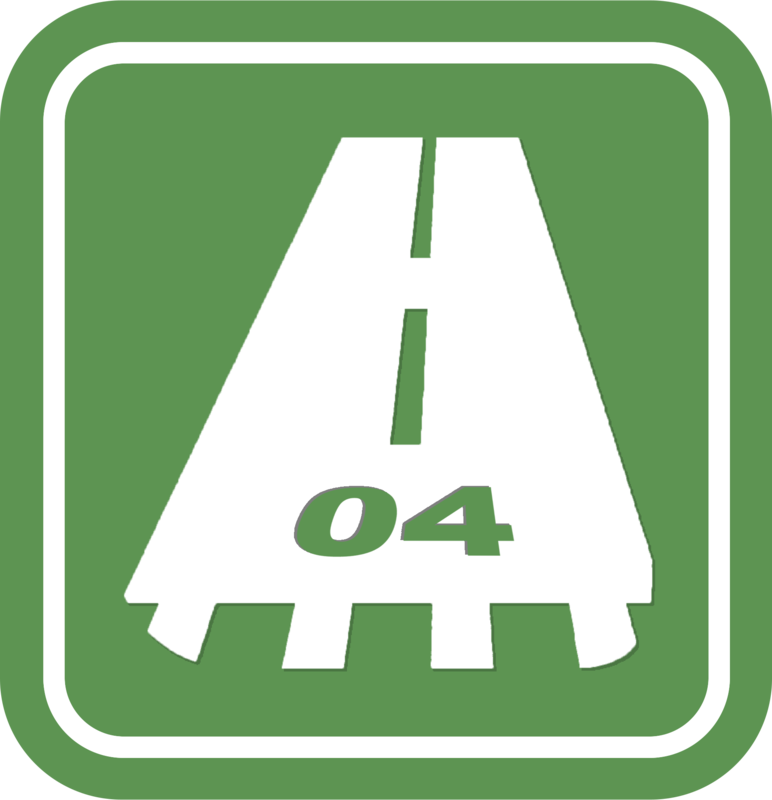 In addition, when areas normally subjected to jet blast are stabilised with an AGAT installation, the potential for pavement disaggregation is greatly reduced. AGAT’s FOD prevention characteristics have been tested and proven. Foreign Objects Debris secures against creation and improves visual identification of FOD. 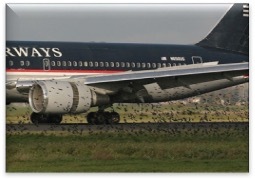 Foreign Object Debris Damage is responsible for countless millions of dollars damage to aircraft every year. An AGAT installation facilitates inspection personnel to identify and remove debris quickly and effectively. 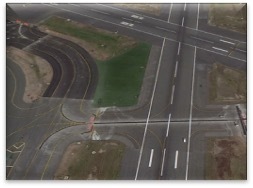 In addition, when areas normally subjected to jet blast are stabilized with an AGAT installation, the potential for pavement disaggregation is greatly reduced. 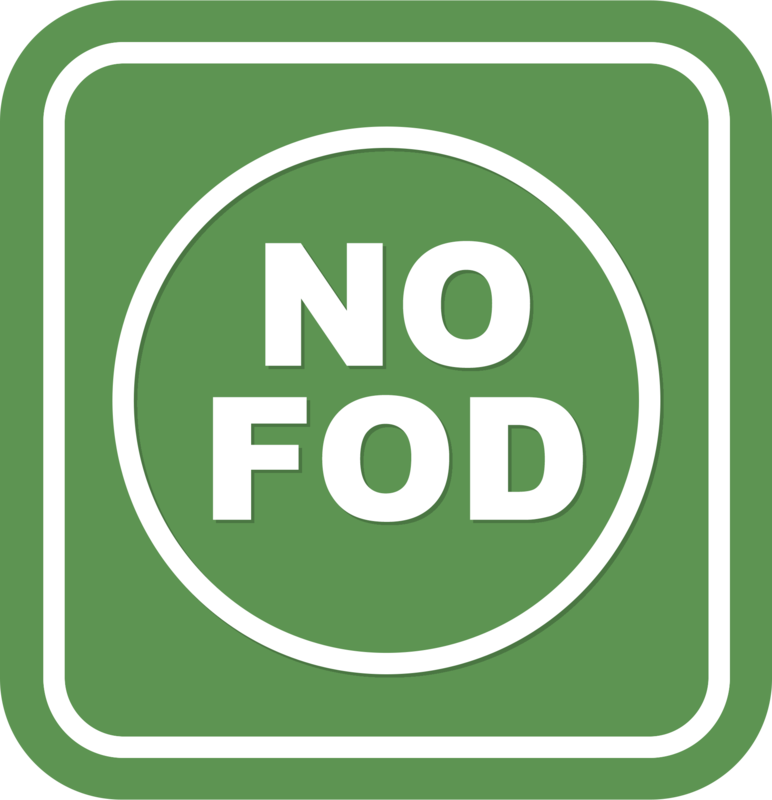 AGAT’s FOD prevention characteristics have been tested and proven. 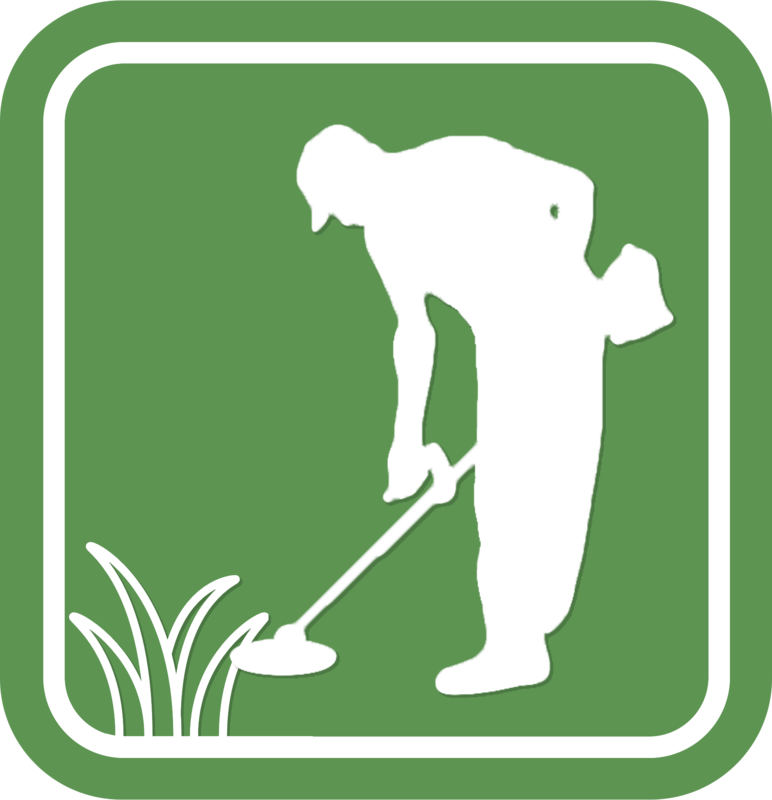 Increases the possibility of surface drainage. Laboratory and field drainage tests have been performed with successful results on AGAT. 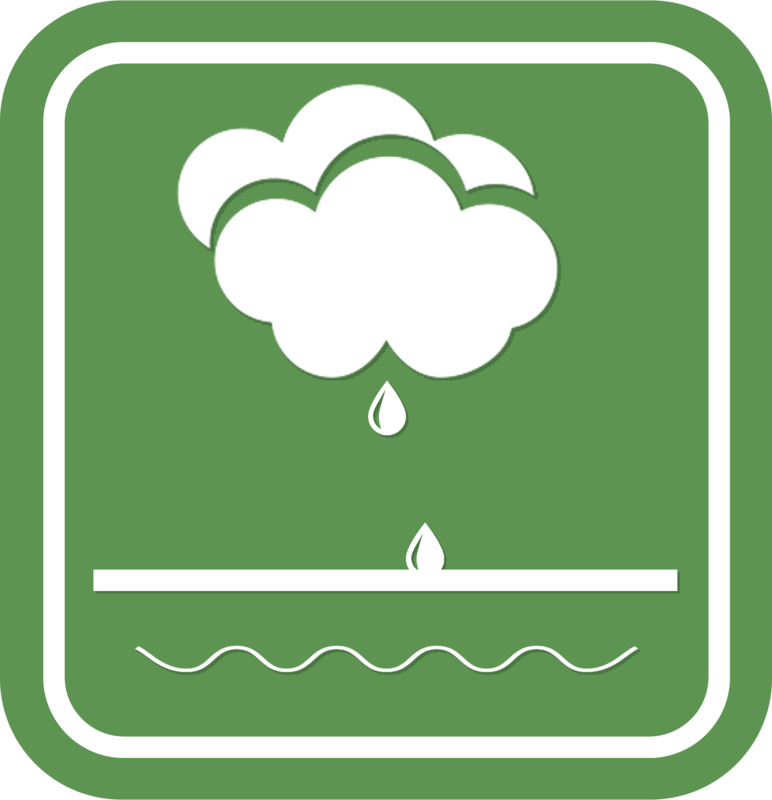 The AGAT system allows water to drain through natural percolation, and the infill provides a natural filter that can drain up to 60 gallons of water per square foot per hour. 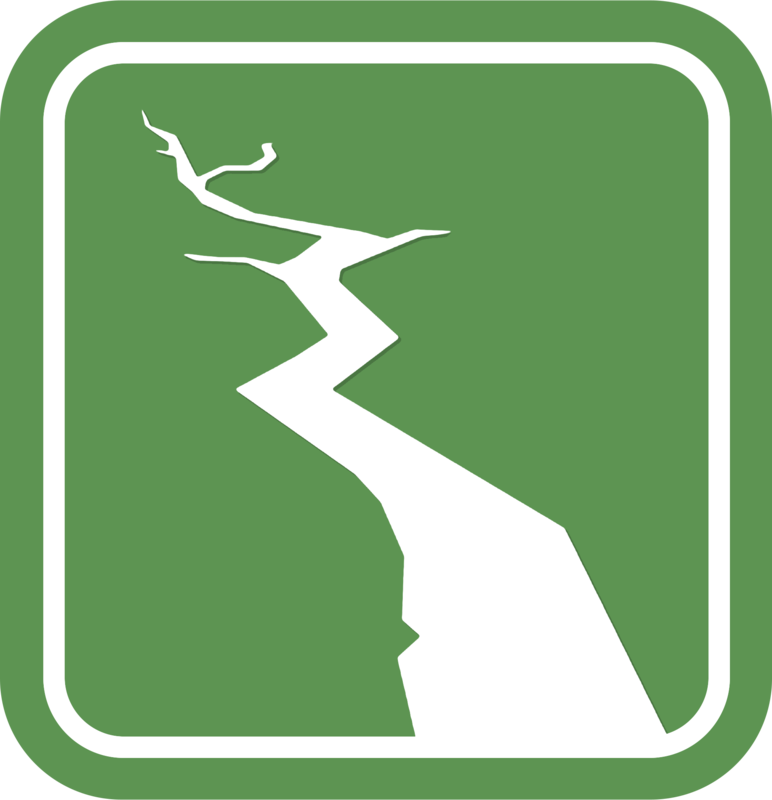 Closes the surface and secures it against erosion. 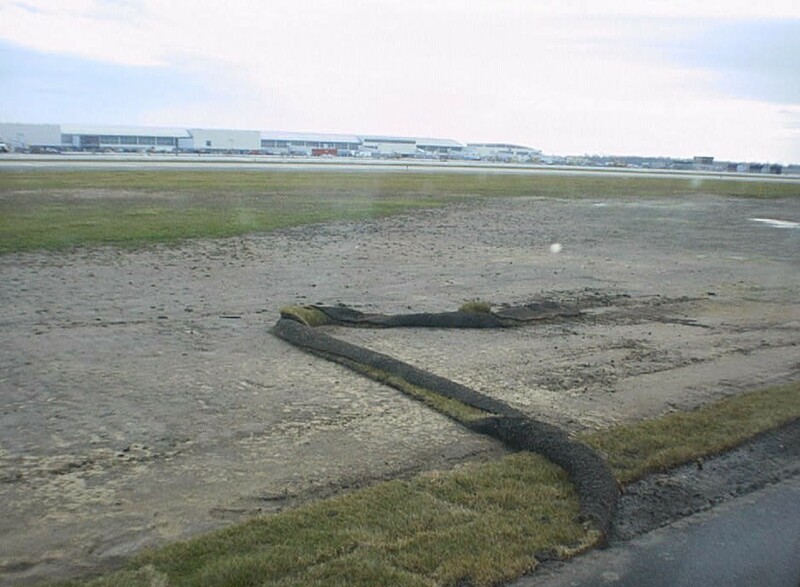 AGAT helps stabilize runway and taxiway shoulders and prevents the erosion of soil abutting pavement because of jet blast and water run-off. 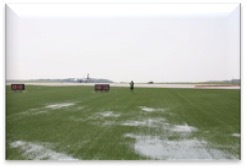 A synthetic turf system also provides a surface that will support inadvertent excursions by aircraft and minimize damage to aircraft gear systems. Increases the access and shortens the rescue turnout. 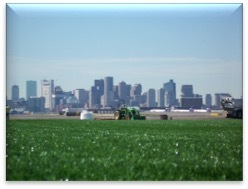 Covering infield islands with artificial turf will create a more stable area that allows emergency response equipment to traverse over these areas during all types of weather and ultimately reduce response times to airport incidents. 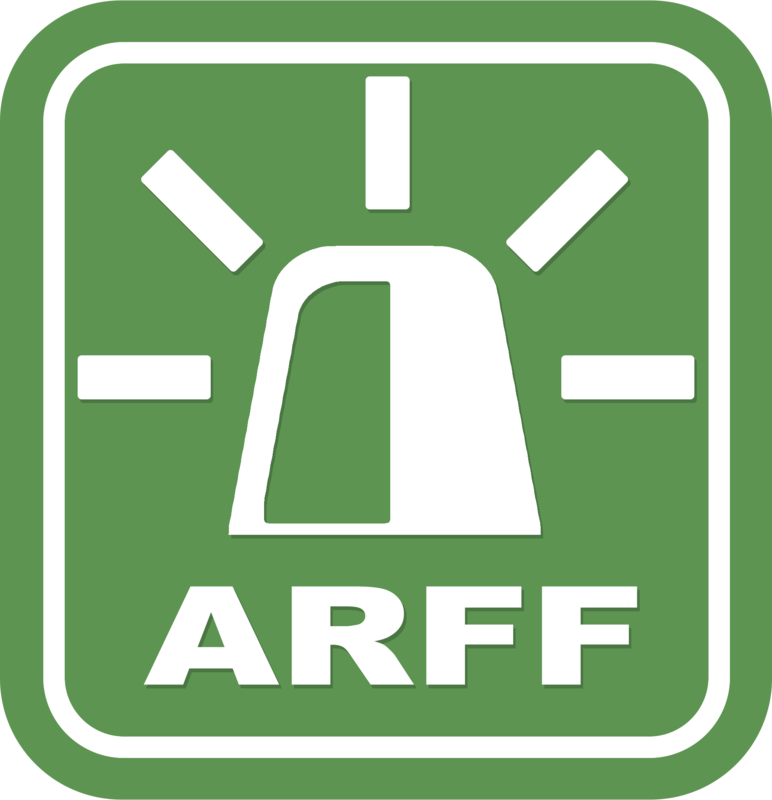 Both a Boeing 757 and multiple ARFF emergency service vehicles have traversed AGAT installations with no signs of displacement or damage. Reduces food and hiding places for birds and therefor reduces their presence. 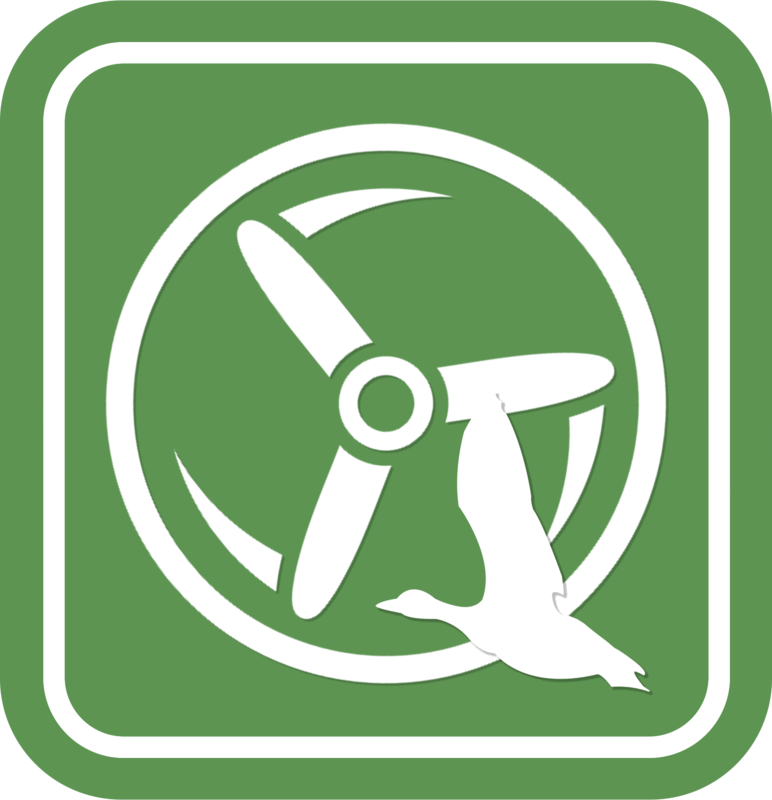 AGAT creates an environment – free of food, water, and shelter for birds. 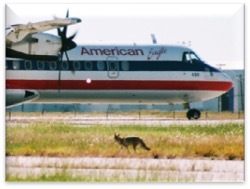 Because the most dangerous and frequent encounters occur during take-off and landing, efforts to ensure wildlife control on the airfield have assumed priority and urgency. 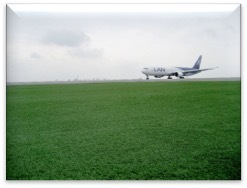 Installing artificial turf alongside runways and taxiways will drive birds further away from critical areas and reduce the potential for bird strikes on or near the airport property. 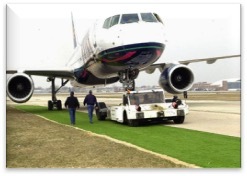 Minimized maintenance and reduction of the need for ground personnel airside. 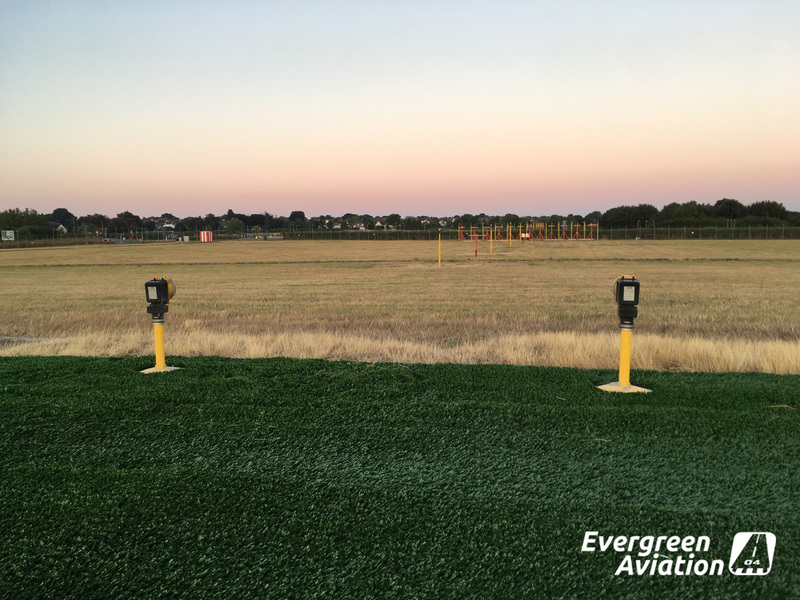 Installation of AGAT on the airport reduces the number of times when personnel and equipment must be on the airfield, especially in the runway and taxiway safety areas. 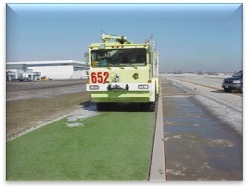 Synthetic turf also aids vehicle operators and pilots to maintain situational awareness while moving on the airport surface. 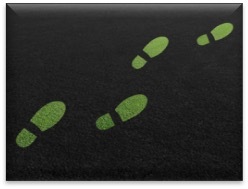 Signalizing which affects behaviour unconsciously but effectively. 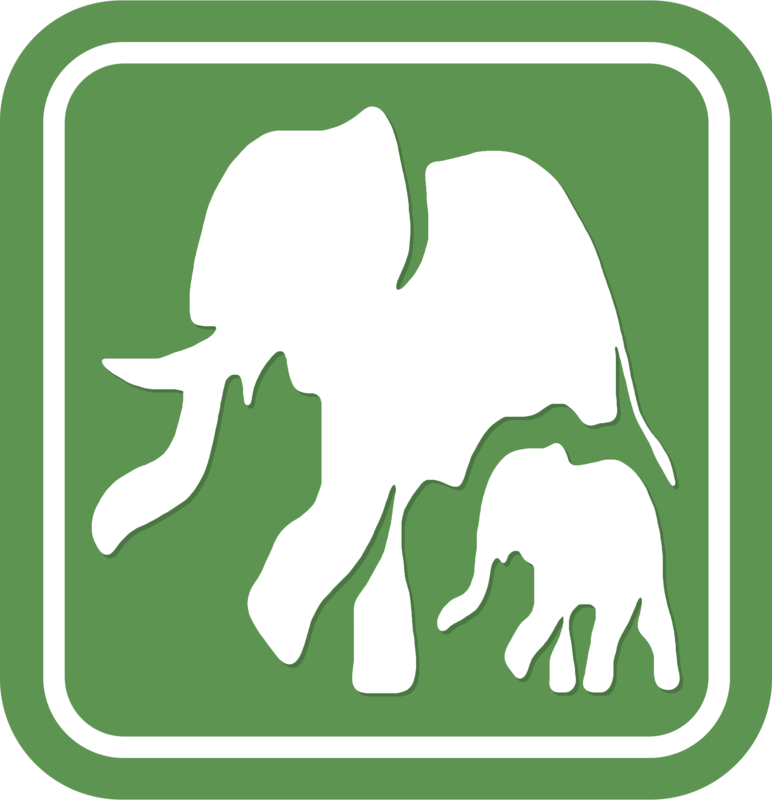 Nudging is an architectural signal which affects behavior unconsciously in a appropriate and predictable way. 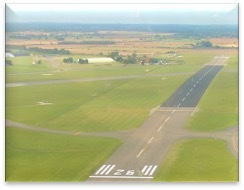 These markings in artificial turf is guideline beyond the mandatory runway markings.